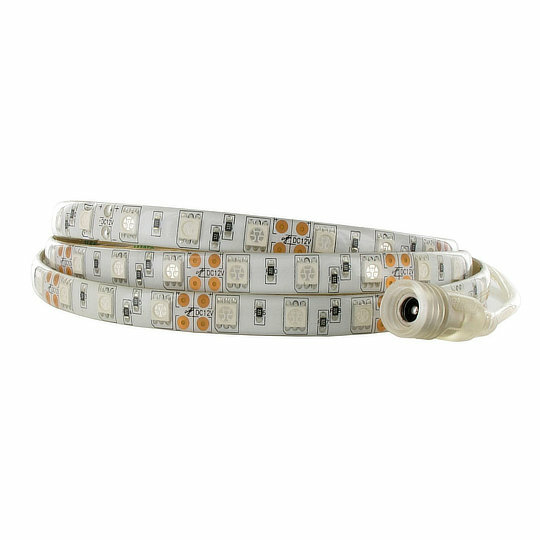 The FPL3 series of LED strips from Sloan are available in 5m or 2.5m long strips with a thickness of 3mm and 150LED’s in 2.5m strips or 300 LED’s in 5m strips dispersed at 16.53mm intervals. Available in either 12V at 3A or 24V at 3A versions both with a wattage of 14.4W/m in the following colours and brightnesses…. The FPL3 series come with a screw style DC jack installed with pre-applied adhesive tape on the back for quick installation and are silicone covered sealing the LED strip to IP64. The FPL3 series does not retain its IP64 sealing if the silicone is cut to shorter lengths.